3 Bedroom Family Townhouse with well thought open floor plan. Feature LR Electric Fireplace. 3 Large bedrooms with 2 en-suite bathrooms and full size walk in closet in the MBR. Upstairs Laundry. Garage has room for storage. Quality finishing throughout. Recent Appliance upgrades. Large 17 x 6 Balcony off the LR. 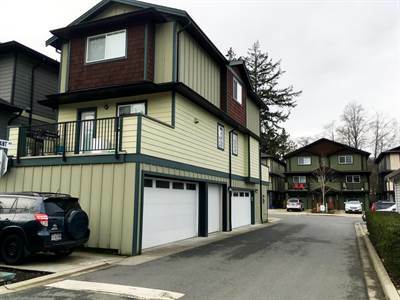 Located 1 block from Galloping Goose Trail and Happy Valley School. Currently Tenanted, allow time to view. Remaining Builder’s Warranty Number: 00004250. Located in Happy Valley, Langford is a wonderful place to live. New schools, Arenas, Parks, Lakes and walking trails, Professional Sports Stadiums and Arenas, Golf and Shopping Malls and Box Stores. Quiet Townhouse, quality construction.